Fire accidents happen more often than you think. With the various gas lines, electric gadgets, and fire hazards present inside your building, it would not be difficult for fires to start and grow, especially within commercial and industrial areas. Fires could destroy millions worth of properties, burn and injure people, and even claim lives along the way. Fires hose reels are the first point of defence. Does your fire hose work? Does it meet the water flow requirements? Install effective fire hose reels. BR Plumbing & Excavations fire service installations for people living across NSW. We believe that fire hose reels installation, as well as constant maintenance, will help our clients have their best chance of quenching the fires as soon as they begin. However, while fire hose reels and fire hydrants are effective responses to accidental fires, they cannot be your sole method of fighting fires. You have to call your local fire department quickly, and try to minimise the fire damage while waiting with the use of our fire response installations. Save costs and ask about combining fire hose reel testing, backflow testing &/or thermostatic mixing valve testing with fire hydrant testing. Engage BR Plumbing & Excavations to test your fire hose reels for optimum performance. DON’T GET CAUGHT BE AWARE… It is the responsibility of the building owner or occupier to ensure that all fire safety products are tested and maintained to the requirements of the appropriate Australian Standard. This is a local council requirement, and insurance companies may not pay out claims if testing and maintenance is not up to date at time of a fire event! 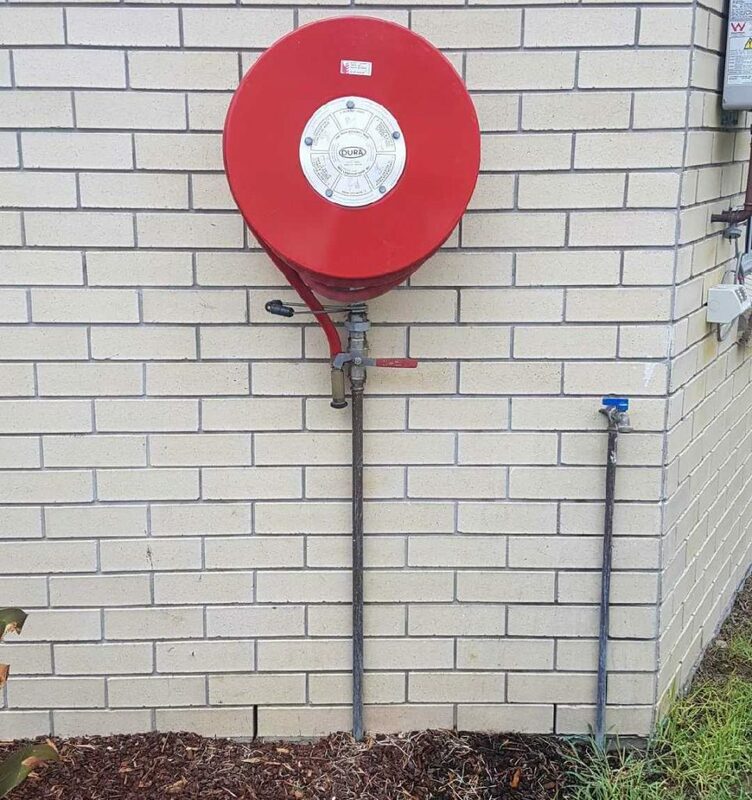 Contact BR Plumbing & Excavations to arrange your fire hose reel testing or installation.